This year has been a long one so far and it’s not over yet. There have been a lot of good times and some of the worst ones… I lost a book I spent four months struggling to write at the beginning of this year, delaying my schedule this year right from the start. I’ve now lost my best friend of 11 years and while he was a dog, he saw me through some of the hardest times in my life. I’ve also lost both of my grandmothers this year, with a funeral for the grandmother on my dad’s side tomorrow morning. It’s been a rough road to bring you guys the fourth book in this series, but I have to say Brandt’s book kept me going and I hope you all are enjoying it as much as I enjoyed writing it. Three years ago, Timber Kearney barely escaped the serial killer known as the Wolfman. Now, she’s still shaken by the nightmares of her past, but she’s turned her focus to helping others. 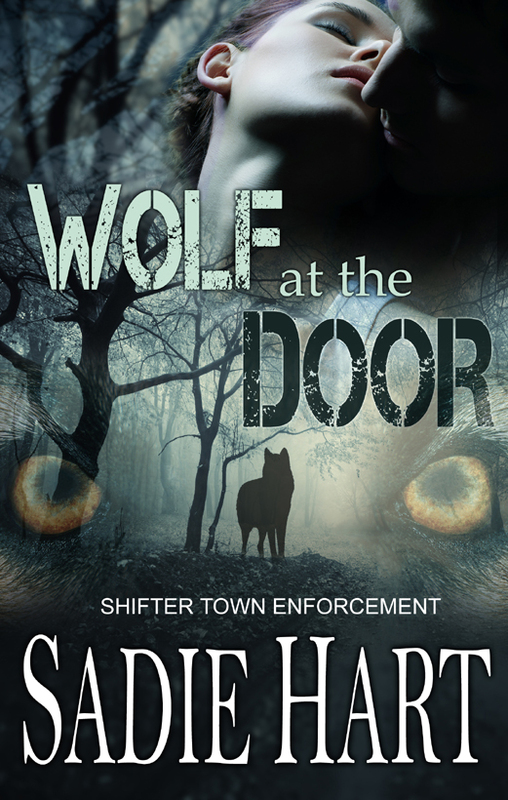 But when one of the women under her care is murdered, the killer leaves a gift on Timber’s doorstep and she knows the Wolfman has found her again. Brandt Lawrence worked this case before and failed to catch the killer. This time, however, Timber’s knowledge could be enough to put an end to the slaughter, if only she can trust Shifter Town Enforcement. But Timber has been burned in the past and is wary to trust a Hound. She’s willing to give Brandt a shot–and only Brandt–but the deeper she lets him into her life, the more she makes him a target. Now, as the wolf comes knocking at her door it’s up to Timber to let the one man in who could save her. For Brandt, he’ll have to prove that no matter how dangerous one killer can be the two of them are stronger, and that this time she won’t have to face her nightmares alone. 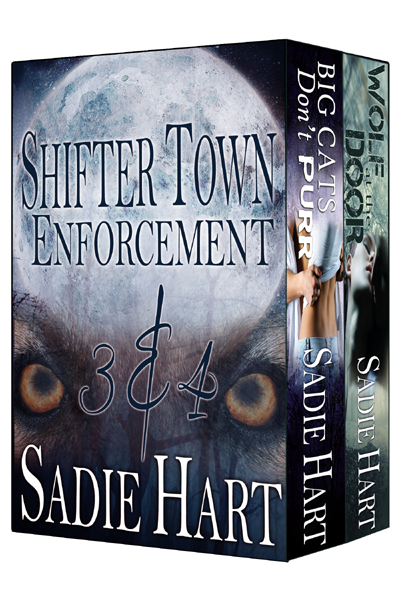 This bundle contains Big Cats Don’t Purr (STE #3) and Wolf at the Door (STE #4). Thank you so much to my readers for all of your patience.